Brock Long, the new FEMA Administrator, has a tremendous reservoir of experience in areas like school safety, as a state director of emergency management and a successful stint in the private sector as an executive with Hagerty & Associates. He will be an asset to emergency managers and the nation. First, let me say Brock Long is a friend. I met Brock when he was Alabama State Director of Emergency Management. He was identified early on by my colleagues and me as a potential leader in the National Emergency Management Association (NEMA). As luck, or internal Alabama state politics would have it, an incoming governor failed to discern potential that most emergency management professionals (really, almost anybody) could see without squinting: undeterred, Brock took his skills to the private sector where he continued to distinguish himself. He also found time to serve for a couple of years as NEMA’s Private Sector Committee Chair. He merits support from all emergency managers. He has stood where we have stood, experienced the frustrations of dealing with partisan politics and interagency jealousies, but he also has recognized the privilege of working with dedicated personnel at the local, state and federal levels. I fully expect that while he has some strong ideas of his own, he will listen attentively and engage in constructive and respectful dialogue with serious emergency management representatives. You can also expect that he will challenge emergency managers to look critically at their own capabilities and programmatic assumptions, and expect that they will engage their respective leaders to assure that state and local governments pull their weight. And he would be correct to do so. There will be areas of disagreement, to be sure. For example, administration views on climate change (and what that portends for emergency management) are unlikely to be altered. 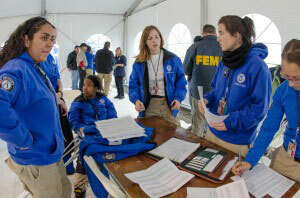 Abrupt and potentially damaging budget initiatives at some point could impede local and state emergency management programs. Presidential appointees always must reflect, support, and put the best face on the policies and initiatives of the administration they serve. In Brock Long the nation is getting someone who can disagree without being disagreeable. He will pursue common ground wherever it is possible to find it. Rather than reflexively dismissing opposing viewpoints, I believe he will engage to find the best path forward. The safety of the population of this country rates well above other political differences – and nothing else is even close. 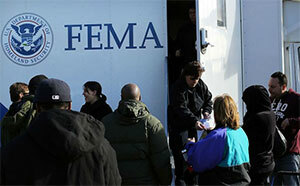 Suffice to say: FEMA is in very compassionate and competent hands. And our efforts in our respective roles will be enhanced if we provide constructive support, and advice, to him throughout his tenure.